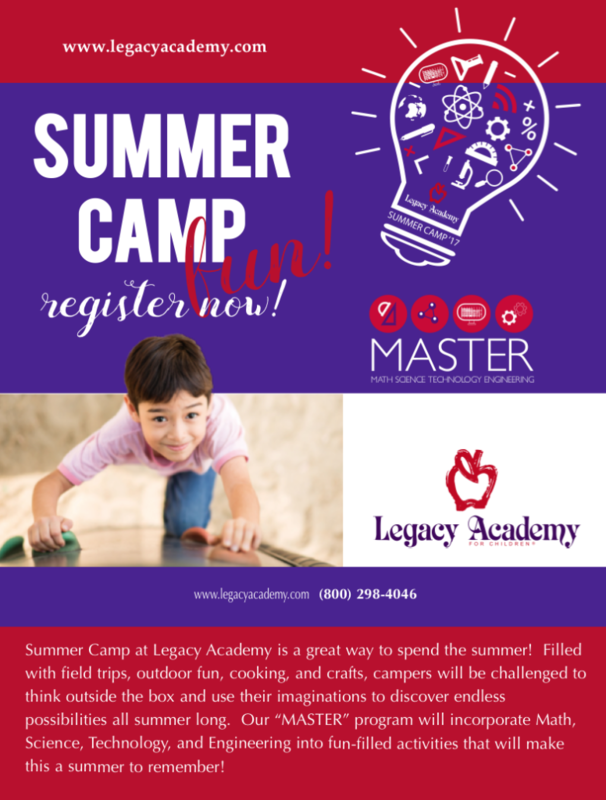 Summer Camp at Legacy Academy is a great way to spend the summer! Filled with field trips, outdoor fun, cooking, and crafts, campers will be challenged to think outside the box and use their imaginations to discover endless possibilities all summer long. Our “MASTER” program will incorporate Math, Science, Technology, and Engineering into fun-filled activities that will make this a summer to remember! For more information on enrollment, call 214-436-4755 or come for a tour anytime from 7 AM to 6 PM! Click here for a PDF of the Summer Camp Brochure for 2017 or ENROLL NOW.